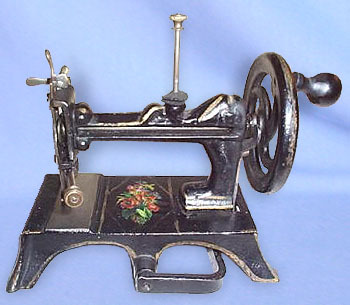 Toy sewing machine - French Toy. This delightful 19th century French toy strongly resembles Benoit Lakner's "La Favourite". To date, however, there is no verification of the manufacturer.